Zach Gibson/Getty ImagesFacebook CEO Mark Zuckerberg. Americans are taking a page out of Russia’s playbook. The Silicon Valley social networking firm has announced a crackdown on the these, removing 559 pages and 251 accounts “that have consistently broken our rules against spam and coordinated inauthentic behaviour.” Facebook did not cite the source of these accounts, but The New York Times reported that they were run by Americans. 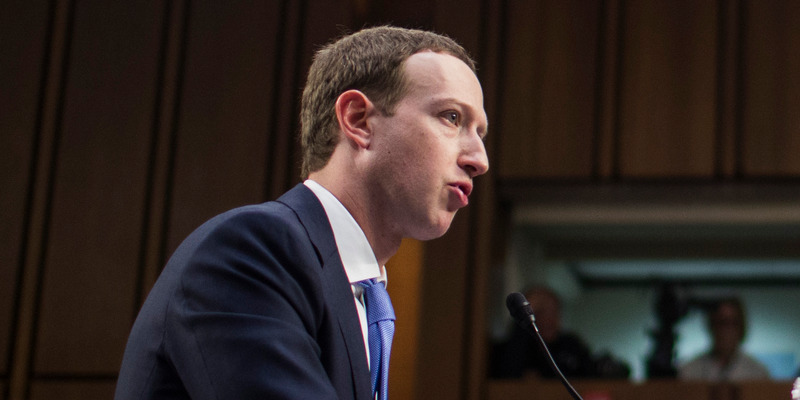 “Many were using fake accounts or multiple accounts with the same names and posted massive amounts of content across a network of Groups and Pages to drive traffic to their websites,” Nathaniel Gleicher, Facebook’s head of cybersecurity, wrote. According to The New York Times, the removed accounts included Right Wing News – a page that sometimes spread fake news with a right-wing slant – as well as the left-wing pages Resistance and Reverb Press. A Facebook spokesperson did not immediately respond to Business Insider’s request for clarification on the sources of the accounts and details of the accounts themselves. “Early voting is already happening in some states, and Election Day is a few weeks away, so it’s especially inexcusable that Facebook is only now deleting political disinformation pages. Facebook has long been aware of the presence and activities of these pages but did nothing until the company sensed a potential public relations disaster as reporters started working on stories about right-wing networks intentionally promoting misinformation through their operation of these pages,” Angelo Carusone, president of media watchdog Media Matters, said in a statement. can also contact Business Insider securely via SecureDrop.